Stephawn Lindsay is a devoted husband to his middle school sweetheart Esha, caring father of two, and Minister of the gospel. He is the Founder & President of Dreams N Reach LLC which exists to build inner city leaders early! 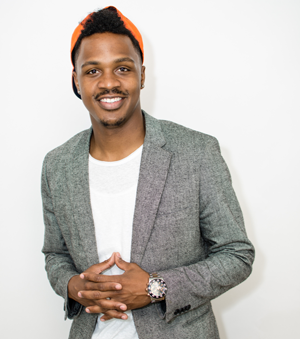 His company is home to the first National Christian rapper from Washington D.C, Echelon Knoxx, who has traveled the world with the eternal message of hope. Additionally, he is a consultant to Millennial business owners and aspiring owners, and enjoys mentoring young men. Stephawn is known by some as ‘Showtime’, a nickname that was given to him in his former “Go-Go” days while apart of what was known as one of the top bands in the DMV during his era, ‘X.I.B’. Stephawn's awareness of youth culture, passion for youth, & gift of storytelling combined with has enabled him to be an effective voice to the rising generation. He has held various positions within ministry such as Youth Minister and Creative Director on the Executive team at what was known as one of the largest youth ministries in North America, 'The Merge' beginning at just 21 years of age, connecting with thousands of young people; He served for 3 years as Campus Pastor at Clinton Christian School in Upper Marlboro, Maryland; Stephawn has also had the privilege of serving 3 years on the Executive team for Revolution Church founded in 2014 and located in Washington D.C as associate minister alongside his Mentor Pastor Devin Turner. In the year 2017, Stephawn was appointed as Youth Minister/Director for Zion Church Landover Campus, led by Senior Pastor Keith Battle, Executive Pastor James Marshal, and Assistant Pastor Larry Paige. Stephawn is grateful for the mentors who prepared him for his early start in ministry, leadership, and business. He hopes to continue to share the gospel and be a light that the rising generation can witness as a testament to God’s faithfulness! His story is still being written, but Stephawn looks forward to continuing in his purpose as he encourages others to do the same.